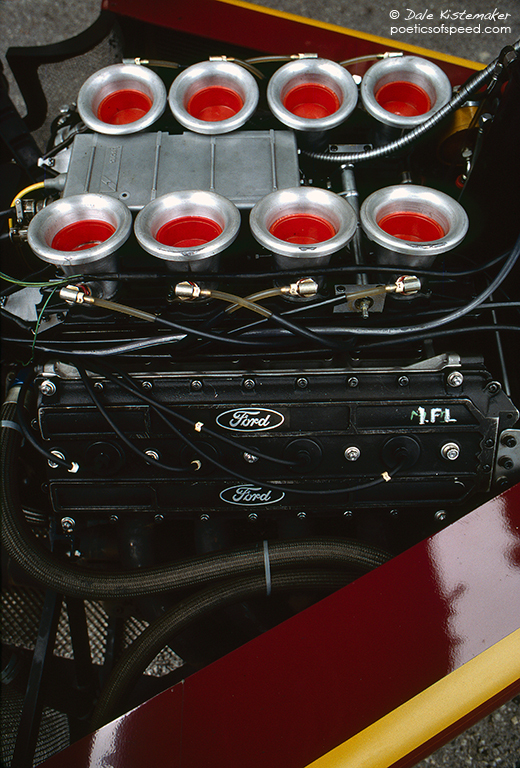 In its first race the Ford Cosworth DFV 3.0 V8 won the 1967 Dutch Grand Prix powering a Lotus 49 driven by Jim Clark. The final victory for the DFV/DFY series came at the Detroit Grand Prix in 1983 with Michele Alboreto’s win in a Tyrrell. The DFY evolution produced around 520 HP at 11,000 RPM but it was less than half the horsepower of the Turbo engines in qualifying spec and a couple of hundred HP less than the Turbos in race trim. Variations of the DFV powered the CART/Champ car series and won Le Mans twice. It is one of the greatest engine designs in racing history. Dale, This is clearly a DFY, not a DFV. The valve covers (and even the heads) are different between both. Martin, Correction made! Thank you for taking the time to point this out. Dale.